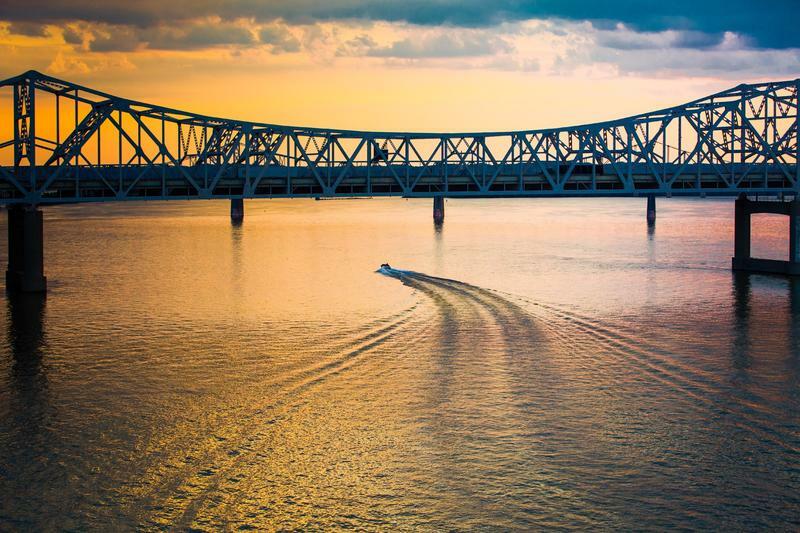 In many ways, the Ohio River is an unsung resource for the region it serves. The Ohio’s near-thousand-mile course flows through Pennsylvania and five other states before emptying into the Mississippi. It’s a source of drinking water for more than five million people. But its long legacy as a “working river” has also made it the most polluted in the country. Today, many cities and towns along the Ohio are rethinking their relationship to the river—and weighing how a large-scale restoration effort could be critical to the region’s future. But just how do we get there? As part of our Headwaters series, we talked with the National Wildlife Federation’s Collin O’Mara, who’s hoping to ignite a new way of thinking about one of the region’s most vital natural resources. The Ohio is the archetype of a “working river.” Its near-thousand-mile course connects cities like Pittsburgh, Cincinnati and Louisville and is lined with industrial facilities and power plants. 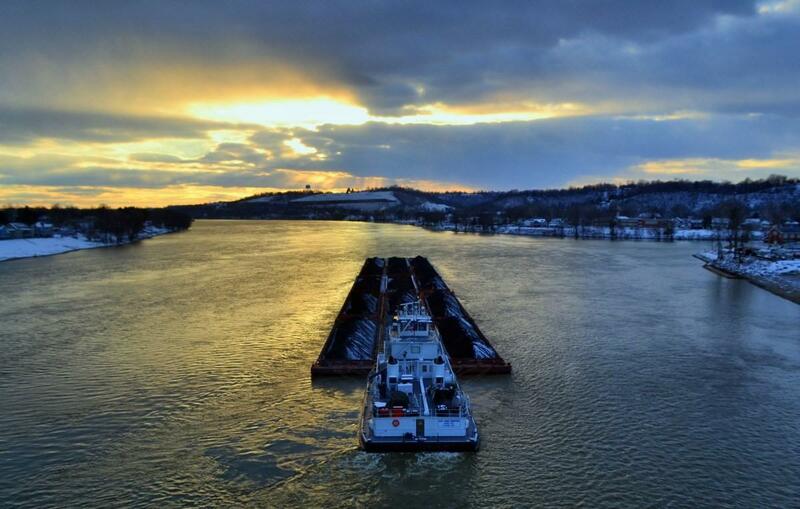 In this February 2016 photo, a coal barge pushes past the industrial town of Marietta, Ohio. Right now across America, the outdoor economy is about a $646 billion economy. It employs more than six million people. And that puts it on par with many of the largest industries in the country. So one of the cases we’re trying to make is that it doesn’t have to be either/or. The old dichotomy of having to choose between the economy or the environment really isn’t true. Collin O’Mara is president and CEO of the National Wildlife Federation. This story is part of our Headwaters series, which explores the environmental and economic importance of the Ohio River. Headwaters is funded by the Benedum Foundation and the Foundation for Pennsylvania Watersheds, and is produced in collaboration with The Allegheny Front.